Find Crystal Beads, Fancy Stone, Rhinestone on Industry Directory, Reliable Manufacturer/Supplier/Factory from China. 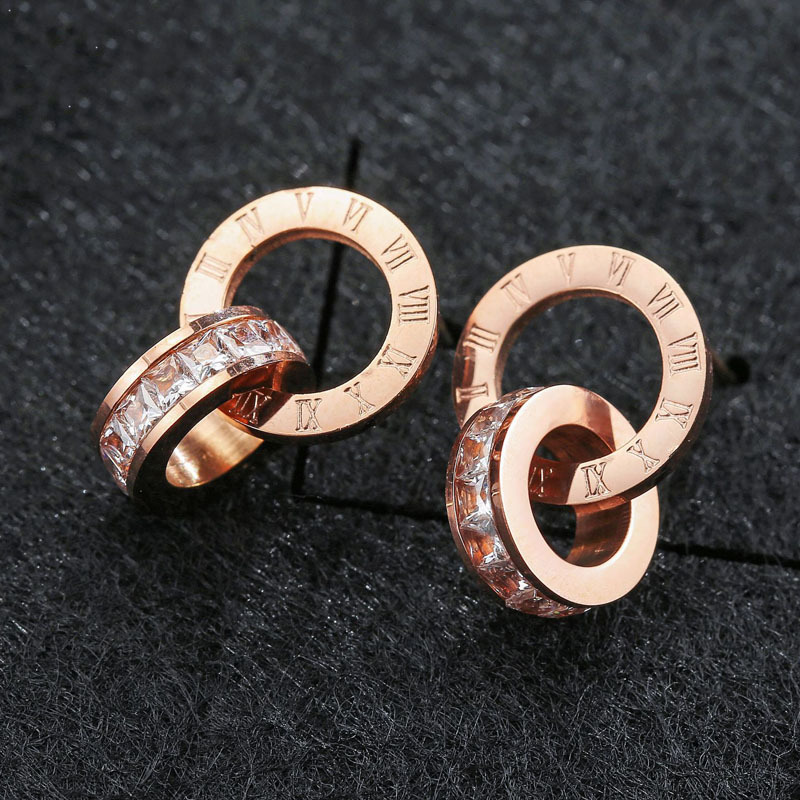 Fashion earrings wholesale. These new fashion earrings are made of stainless steel and crystal stones. 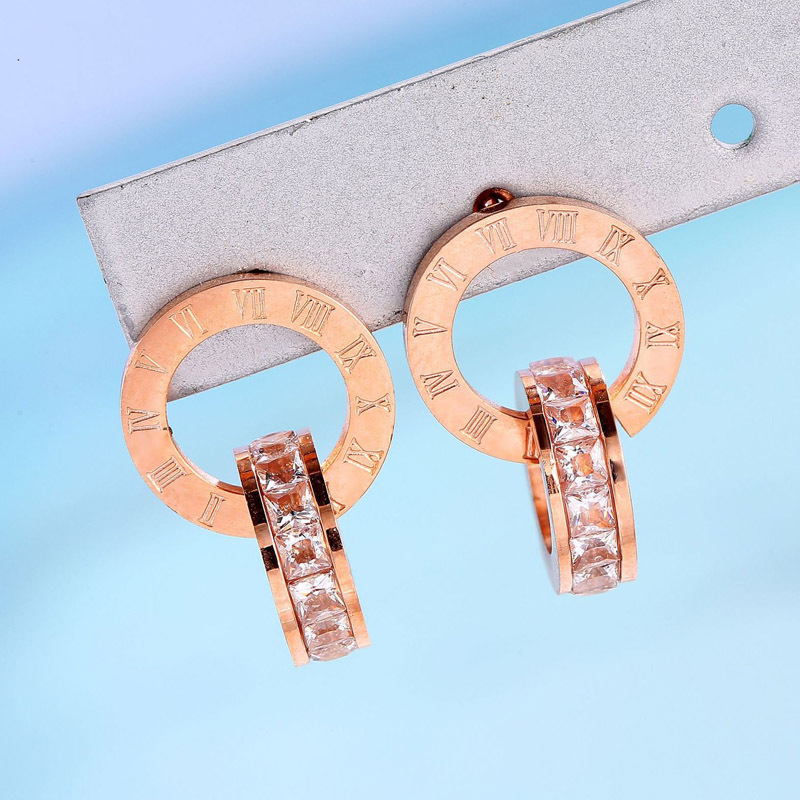 Double circle design with sparkling crystal stones, engraved with roman numeral, unique and fashion jewelry earrings for female. It makes your look elegant and charming in any occasions, like valentine day, mothers day, Christmas, wedding, anniversary, graduation, birthday, bridesmaids, prom. Perfect jewelry earrings for your friends, girlfriends, lovers, or yourself. View more hot products: leather bracelets, charger bracelet, bead bracelets, tungsten rings, hoop earrings, tassel earrings. ORDRM®-Dongguan Original Dream Jewelry Co.,Ltd is an OEM jewelry factory which has focused on manufacturing stainless steel jewelry for 8 years. We have experienced high-tech talent-strong team, self supporting factory, providing ODM and OEM production shipment, accept various customized service. Our main products are bead bracelets, charger bracelet, leather bracelets, tungsten rings, stud earrings, hoop earrings, tassel earrings, hip hop jewelry, religious jewelry, diffuser necklace, jewelry findings, etc. The people at ORDRM® have made us more than a vendor - it has come to stand for a way of doing things: with innovation, teamwork, dedication and courage. Innovation has always been a way for us to follow, strengthen and improve our products and service. Our relationship with our partners goes far beyond simply selling jewelry. We are committed to provide value for our customers. Our goal is to satisfy our customers by providing top quality products, diverse selection of styles, excellent prices, and great customer service. We don`t skip on quality to cut our prices. We take pride in providing high quality products at low prices. We will be your ideal supplier.